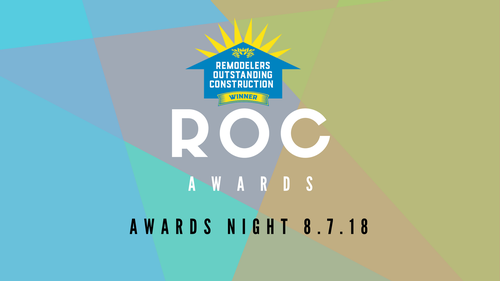 ROC Awards Night 2018 - Aug 7, 2018 - Home Builders Association of Durham ? We're celebrating the winners of the 2018 Remodelers Outstanding Construction Awards! Come see who wins in categories like Best Bath, Best Kitchen, Best Whole House and more! We're bringing back Frankie Hagan as our DJ, enjoying the tap from Top of the Hill, and providing casual networking with tasty eats. Register Now! Ticket price includes heavy appetizers and a free drink. Hospitality Sponsor: Could be you!